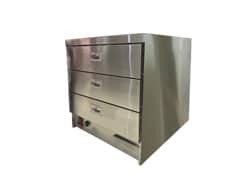 Each street food cart is bespoke, matching closely an individual customers requirement and specification. 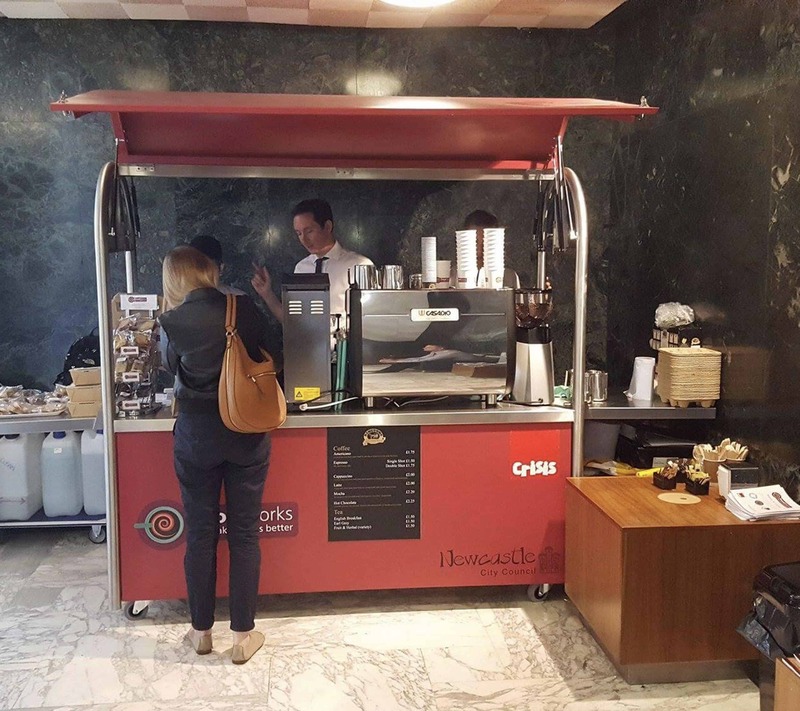 Currently available for indoor use only, applications include: coffee vending, street food point of sale, speciality tea vending, shopping mall catering and mobile exhibition or events. Use is only limited by imagination. Various styles are available including the clamshell design illustrated here. 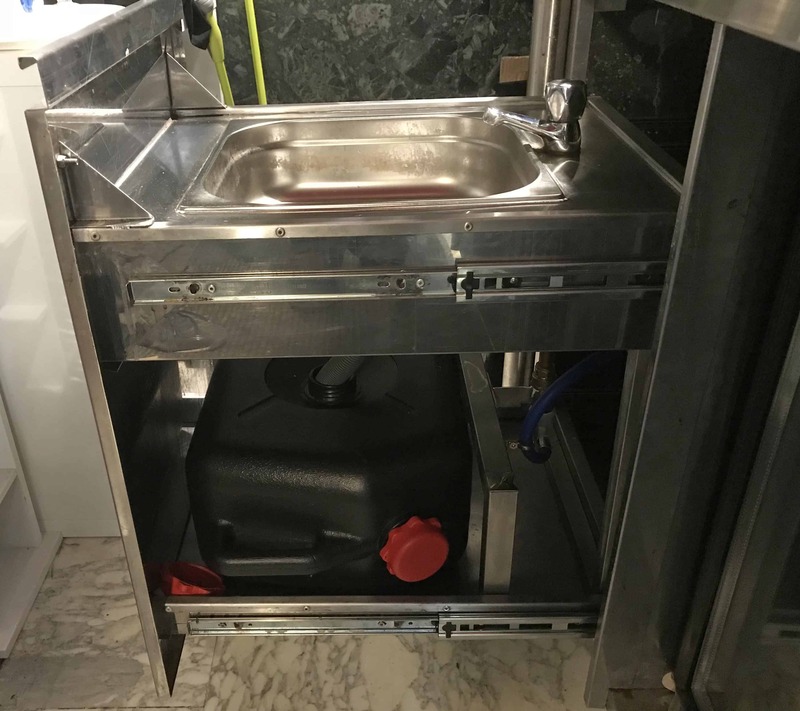 Features include: fully lockable and secure, in-built pumped water system, pull out hand wash basin on drawer slides, mobile lockable castors, fridge option, induction cooker option and lockable side compartments that open up. 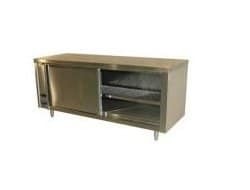 The frame is heavy duty stainless steel with cladding and doors in aluminium for lightness and strength. The upper doors are fully supported on twin gas struts for ease of use and security. 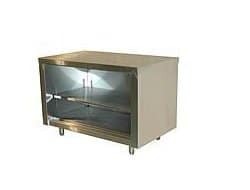 The cart is fully self-sufficient and operates from standard domestic 13 amp plug tops. 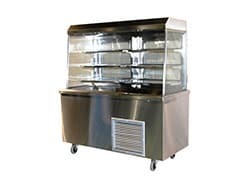 Since each Street Food Cart is bespoke to an individual customers requirements, there are no standard sizes or weights.